Manufactured by M. Welte & Sons of Freiburg, Germany. Contains 152 pipes, snare and base drums, triangle, and cymbal. 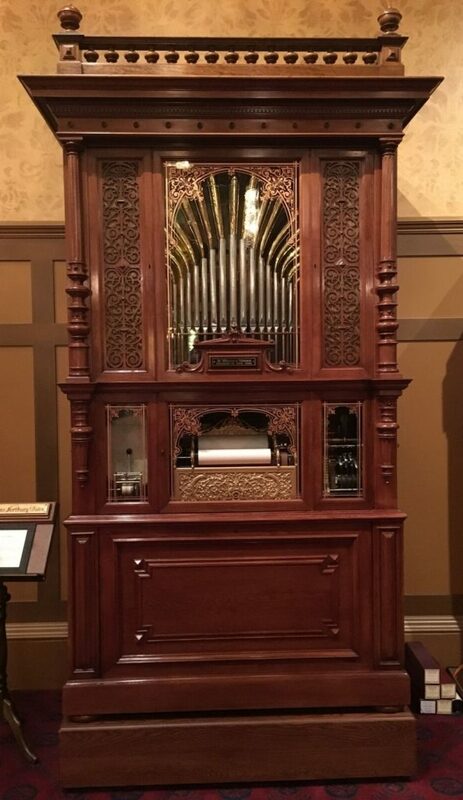 This model is considered to be an outstanding example of orchestrion building. Its “starburst” pipework is voiced exceptionally well and plays classical as well as modern songs of the era.